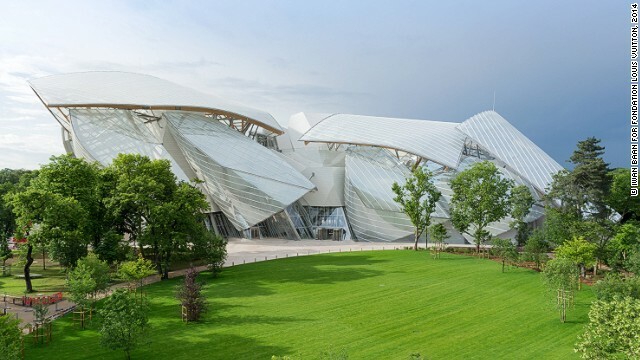 Fondation Louis Vuitton -- the philanthropic wing of luxury conglomerate LVMH -- is opening a new contemporary art museum in Paris, designed by world-renowned architect Frank Gehry. Gehry was inspired by glass garden architecture from the late 19th-century. The building has already been nicknamed "the glass bird" and "the iceberg." From inside the museum, visitors can look out onto a modern fountain as well as the surrounding Bois de Boulogne, the second largest park in Paris. 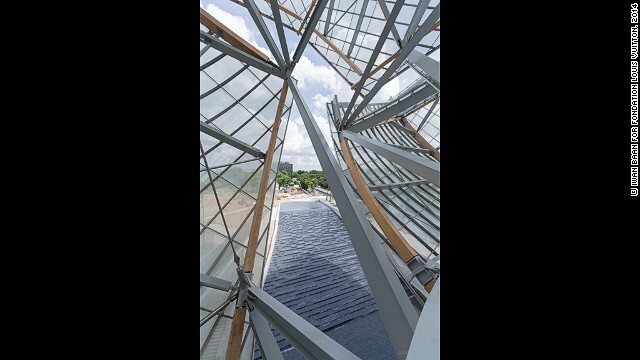 The unusual shape of Fondation Louis Vuitton recalls Gehry's other seminal works, like the Guggenheim Art Museum Bilbao, which he completed in 1997. 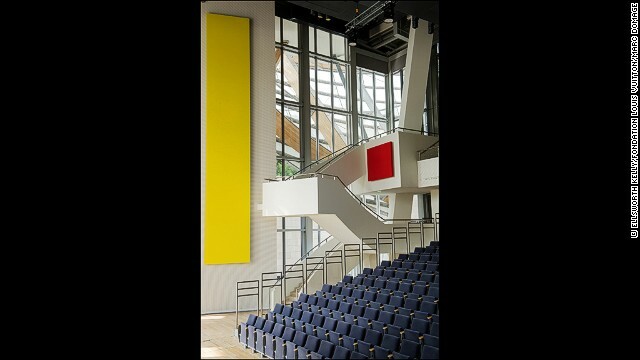 The building also has a 350-seat auditorium for live shows, including a series of retrospective concerts from electronic band Kraftwerk this November. Fondation Louis Vuitton's first temporary exhibition will feature a group of commissions inspired by the building's architecture. 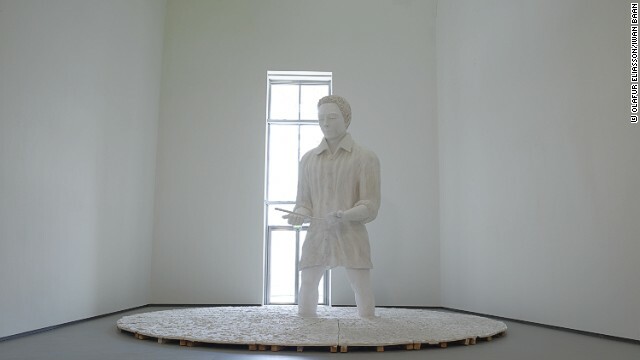 Mann im Matsch (Man in the Mud), a large installation from Thomas Schütte, is part of the museum's permanent collection. 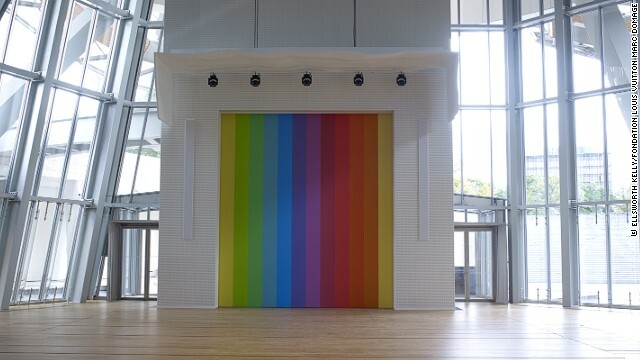 Ellsworth Kelly also created a location-specific piece for the Fondation. Spectrum VIII, a stage curtain, was created from one of his previous works. 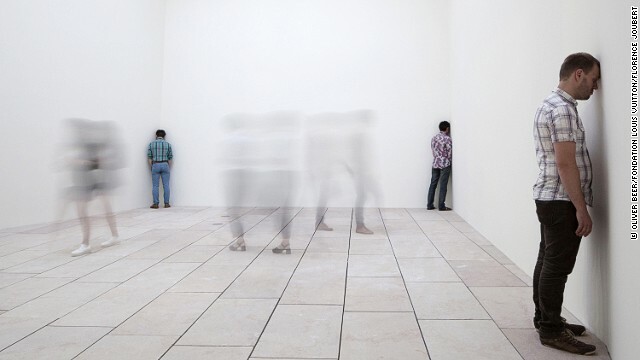 On the performance art side, Oliver Beer's Composition For a New Museum has three people singing in different corners of a room to demonstrate the building's acoustics. (CNN) -- Luxury enthusiasts, rejoice: Louis Vuitton is bringing its upscale sensibilities to the art world. 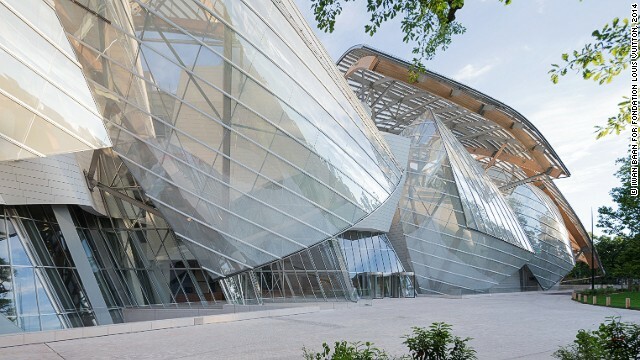 Fondation Louis Vuitton, the philanthropic wing of luxury goods conglomerate LVMH, is opening a 41,441-square-foot art museum in Paris to share its cultural values with the general public. Designed by starchitect Frank Gehry for more than $130 million, the building will act as a home for the company's public and private art collections, as well as a showcase for temporary exhibitions and performances by contemporary artists. 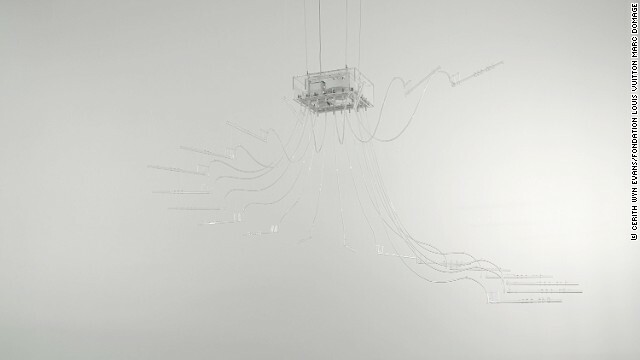 In the months following its official public opening on October 27, the museum's programming will include commissions inspired by the building's architecture and retrospective concerts by German electronic band Kraftwerk. 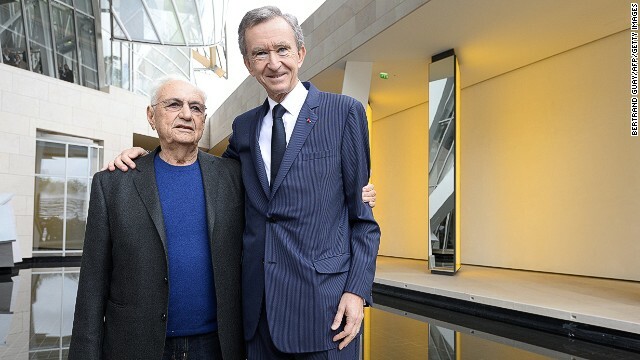 According to LVMH CEO Bernard Arnault -- whose $30 billion fortune makes him France's richest man -- the Fondation Louis Vuitton is a way for the company to give back to the city. "(It's) showing that we are very good (citizens) and that we are working not only for profit, but also for something that is transcendent," he told CNN at the building's inauguration. 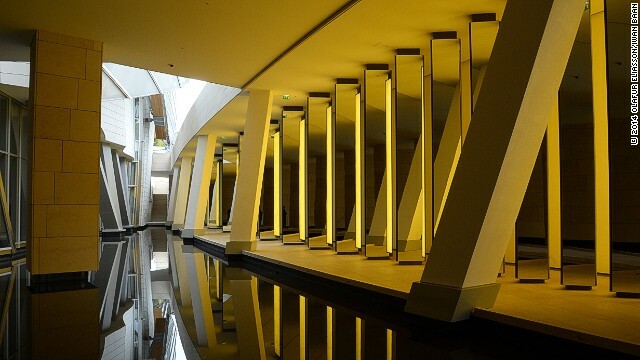 To sweeten the deal, LVMH will give the museum and its contents to the city of Paris in 55 years. Louis Vuitton is part of a growing legion of fashion houses lending their names and funds to artistic causes. In 2008, Italian luxury brand Furla started a foundation to support young Italian artists, and Fondazione Prada has co-produced art works and organized contemporary exhibitions since the nineties. A number of brands, including LVMH-owned Fendi, have also volunteered to finance the restoration of various Roman monuments like modern-day Medici. The building itself is as much of a cultural contribution as the art it contains. 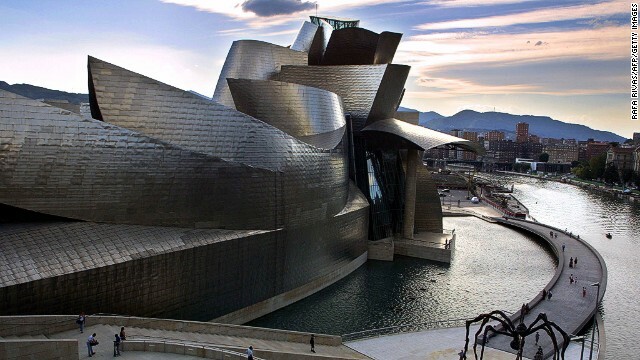 Gehry, one of the world's most well-known architects, is famous for designing unconventional cultural centers that draw as much interest as the happenings inside, like his Guggenheim Museum in Bilbao, Spain and Walt Disney Concert Hall in Los Angeles. It's showing that we are very good citizens and that we are working not only for profit, but also for something that is transcendent. 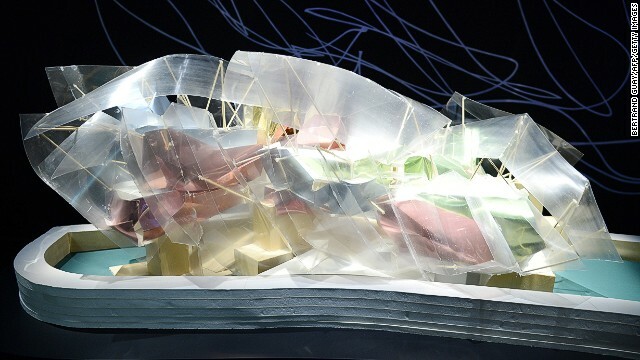 Already referred to as the "glass bird" and "the iceberg" by the public, Gehry's Fondation Louis Vuitton was inspired by classic Parisian glass architecture like the Grand Palais. It is meant to evoke ships and a sense of movement, like wind pushing through sails. Because of its glass covering, the building changes character throughout the day as the light comes and goes. But like other non-traditional buildings in Paris -- from the Eiffel Tower in 1889 to I.M. Pei's glass Louvre Pyramid 100 years later -- Gehry's building has received a certain amount of back-lash. "France is a country where, as you know, we have a lot of manifestations, of protests. Each time you do something, people are against," Arnault said. "Even for this fantastic building we had to go through a lot of protests before being able to finish it." However, the Fondation is hopeful that their museum will ascend to landmark status like the controversial buildings that preceded it. At this point, it seems more than possible. If anyone can sell an experience, it's LVMH.